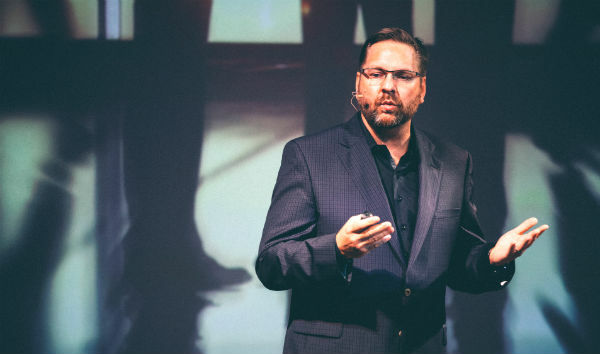 TopRank® Marketing chief executive and co-founder Lee Odden conducted a live Twitter chat ahead of his September speaking event at Content Marketing World, exploring the evolution of influencer marketing. 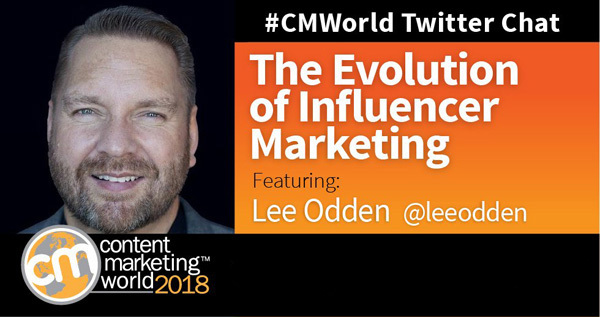 Lee will be speaking multiple times during Content Marketing World over the week of September 4 – 7 at the Huntington Convention Center in Cleveland, and his recent Twitter live chat — presented below — offers an excellent glimpse into many areas he’ll be covering. Content Marketing World: What are the advantages of working with influencers and producing co-created content? Lee: At the most basic level, collaborating with relevant influencers to co-create content that is promoted by those influencers helps brands connect with potential customers that are ignoring the brand’s advertising and salesy promotions. Trusted experts with personality and persuasion skills are good people to have in your corner when it comes to content marketing. But there are other benefits too including boosting SEO performance of content, providing a source of content creation expertise outside of your marketing department, insights into the industry, creative skills not present within your company – to name a few. On top of all that, 89 percent of marketers believe influencer marketing can positively impact how people feel about a brand, according to @emarketer. 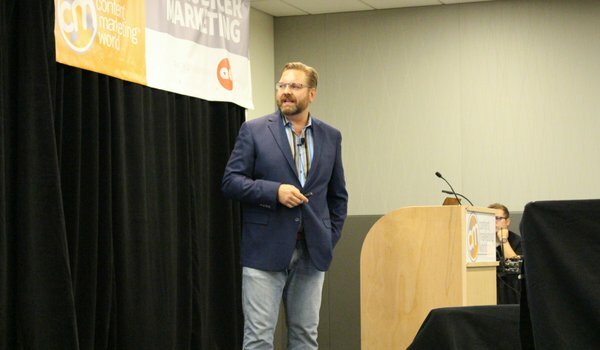 Content Marketing World question: Is influencer marketing appropriate for both B2C & B2B brands? How do you ensure your company and chosen influencer interests align? Lee: Two great questions! First, influencer marketing is appropriate for every organization that publishes content and wants to bypass ad blockers, advertising blindness and lack of trust. That means B2C, B2B as well as EDU, GOV and Non-profits. B2C Influencer Marketing has many more influencers & creators to work with as well as marketplaces to “shop for” influencers to engage. Many B2C influencers are expects at being influencers vs. subject matter experts. But not all of course. B2B Influencer Marketing involves industry experts and content collaboration for a much longer sales cycle. There are no marketplaces for B2B so most brands use IRM platforms like @Traackr or @Onalytica. Aligning company and influencer interests starts by being clear on what influence topic you’re after and finding the most relevant matching influencers. Provide a compelling offer and a great experience for the influencer and the will deliver. Content Marketing World question: What are some questions marketers should ask when identifying influencers? Are there tools that can help? Lee: The first question a brand should ask before seeking influencers is to confirm what topics represent the intersection of customer interest and brand goals. What does the brand want to be influential about that customers also care about? When finding influencers there’s a BIG distinction between behaving like an influencer and being influential. Many subject matter experts are not extroverts or social savvy. They can still play a role though and engaging them is different. 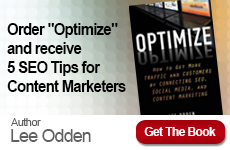 Content Marketing World question: How can you create value for the influencers you work with? What benefit does it need to provide them? Lee: The most important value to create for influencers is relevant recognition. But you have to learn that’s what the influencer wants before you offer it. Other forms of value include access to information, products/services and brand experts. Compensation is a pretty big motivator as well – especially in B2C. Don’t make the mistake of thinking that all top influencers want big money and nothing else. Another mistake is to think that mid-level and microinfluencers only want recognition. A blend of compensation and recognition can work very well in most cases. Content Marketing World question: Beyond brand awareness and advocacy, how can influencers help improve leads and sales? Lee: Marketers that map the full customer lifecycle with an understanding of buyer questions, pain, & goals for each stage should be able to match relevant influencers to each of those stages – including consideration and purchase. Rather than brandividuals to create awareness, consideration and purchase can include customer influencers, employee influencers and domain experts that evaluate solutions. It’s great when brands answer buyers’ questions, but when trusted, credible experts answer those questions, it can facilitate lead quality, speed, order size and conversion rates. I know everyone likes video these days, so here’s a story about a company we work with @cherwell that ran a pilot influencer content marketing program that resulted in 22% of revenue for all of 2017. Content Marketing World question: What are your predictions for influencer marketing in 2018 and beyond? Lee: While opportunism and some follower hacking is making some people seem like big name influencers, I think there are solid efforts to validate influencer networks. We’ll see a lot more of that. The collective influence of individuals is something we’ll see a lot more brands tapping in to, whether it’s microinfluencers or nanoinfluencers. Everyone is influential about something. Brands that can identify niche, but effective influencers will win big. I’m still waiting for content marketing platforms, search and social media marketing platforms, and influencer marketing platforms to converge. Platform integration is something that could help brands scale quite a bit. Where is it??? Content Marketing World question: What pitches have worked best to get you to want to create content with a company? Lee: Relevance is the perfume, personalization is the looks and the offer is the personality for me when it comes to being romanced to co-create content. Just one or two and it’s hit or miss. Relevance must always be spot on and having all three is a near sure thing. Here’s a good example of amazing content: this interactive ebook for SAP (client) had over 100 percent share rate by influencers and 18 million impressions. The 32 contributors were proud to be in it. If you’d like to learn more about Content Marketing World 2018 and the top speakers are their September conference — including Lee — full details are here. 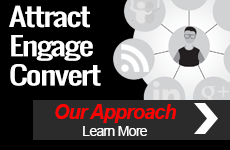 In the meantime, have a look our TopRank® Marketing’s influencer marketing services if you’re interested in learning more.